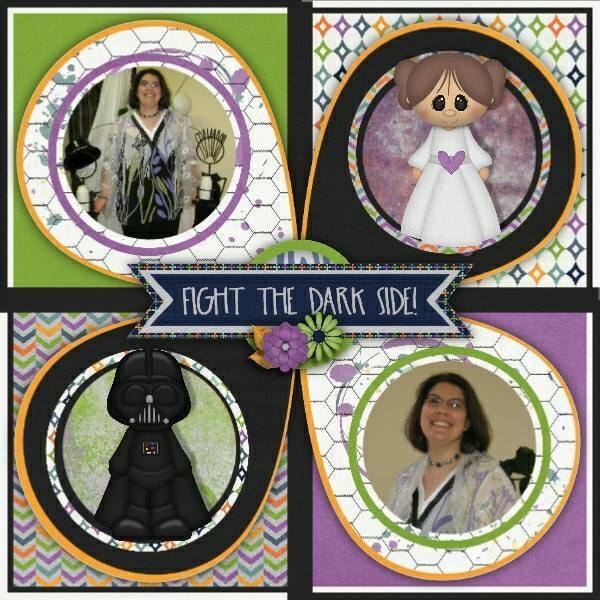 Don't go to the dark side! 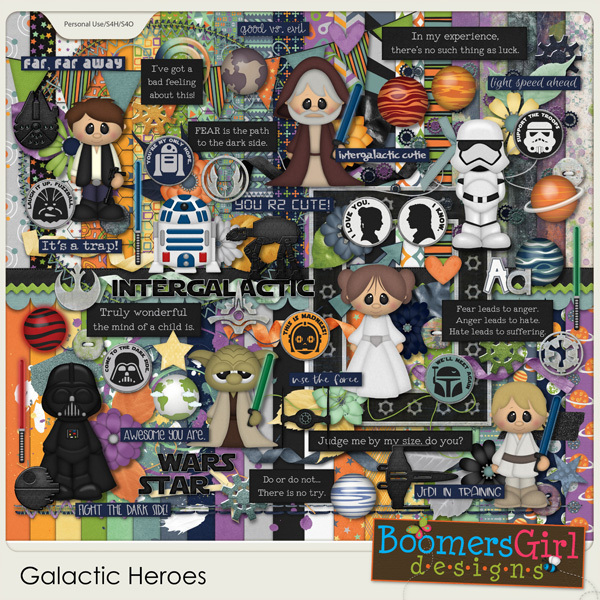 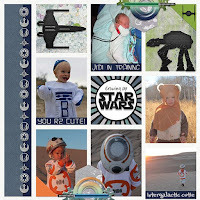 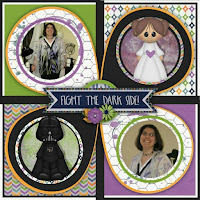 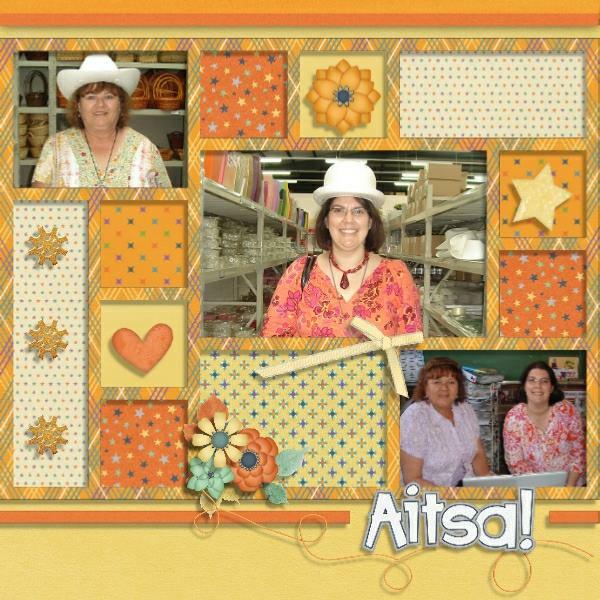 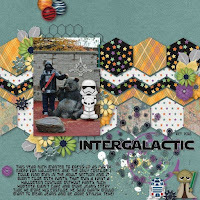 Join these galactic cuties as you celebrate all of the "out of this world" fun in your life. 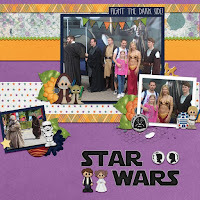 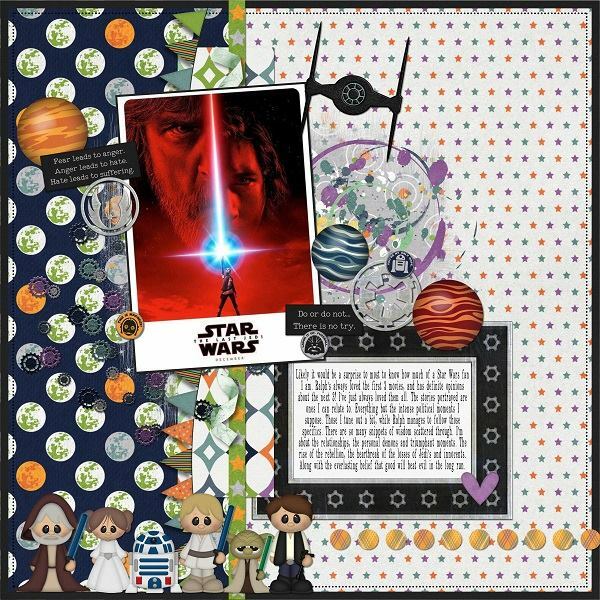 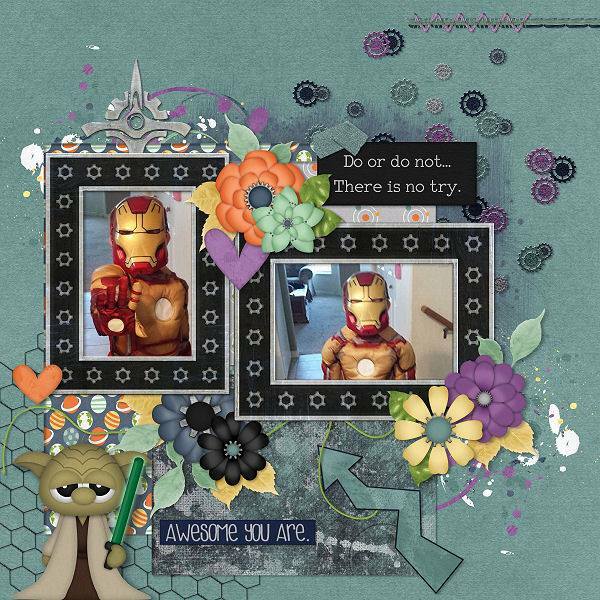 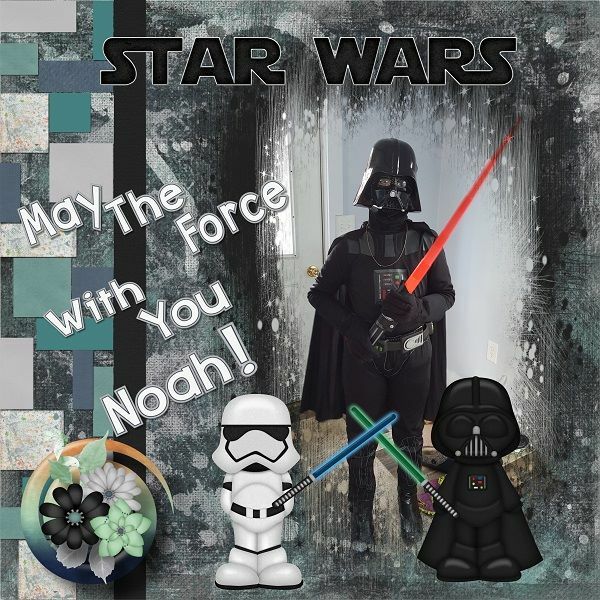 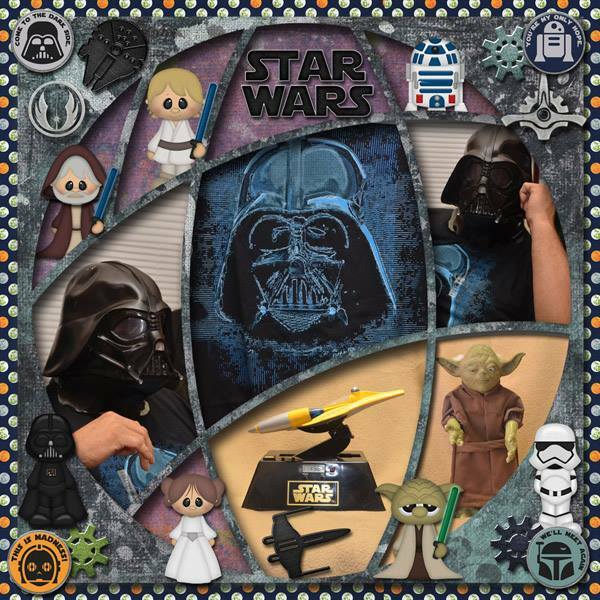 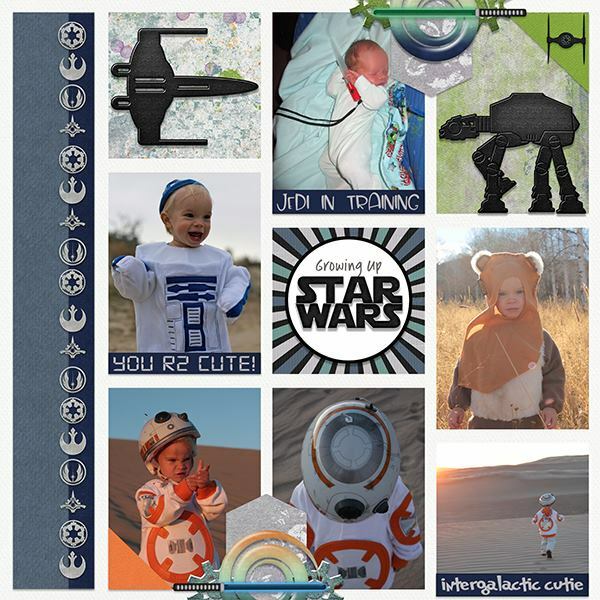 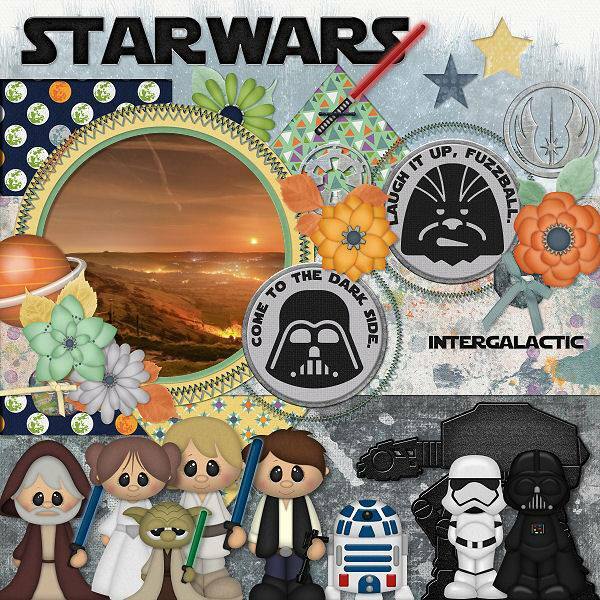 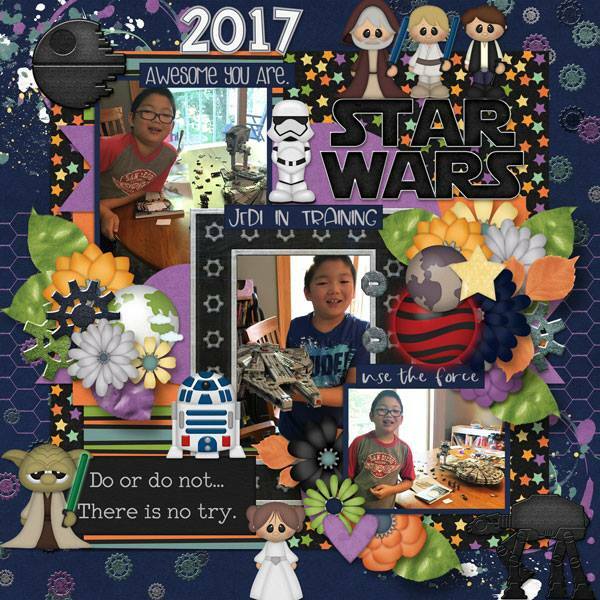 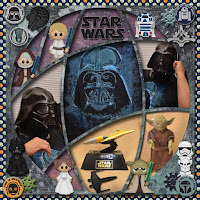 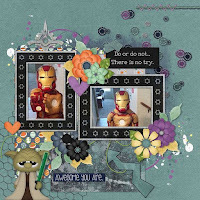 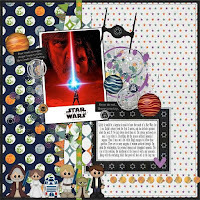 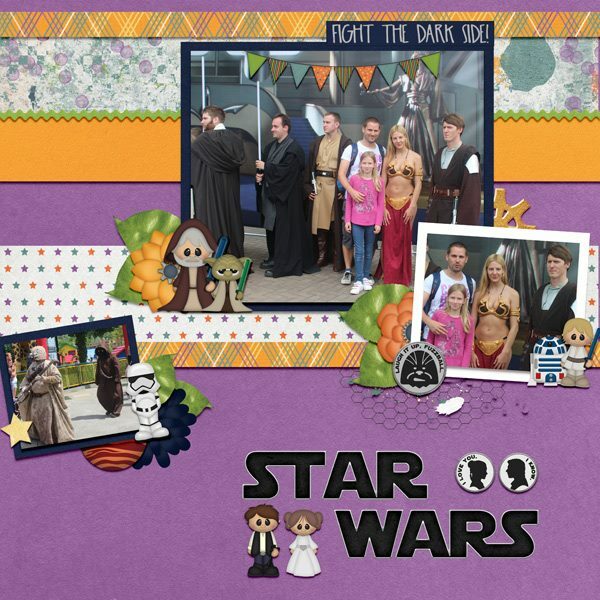 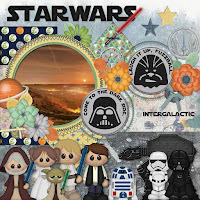 Whether scrapbooking your favorite movies, little (or big) heroes of your own or the magic of the universe, this kit has it all - cute characters, beautiful colors and tons of themed (and non-themed) goodies!